The “Champ Champ” trend in the UFC continues. It started with Conor McGregor’s capture of the featherweight and lightweight titles. Daniel Cormier followed by capturing both the light heavyweight and heavyweight belts. Now, Amanda Nunes holds both the UFC women’s bantamweight and featherweight titles. Of course, Nunes is the only champion at the moment who holds two belts. But that could all change in the next few weeks. UFC bantamweight champion TJ Dillashaw will be cutting down to 125 pounds. He’ll challenge Henry Cejudo for the flyweight championship. The action goes down in the main event of UFC on ESPN+ 1 from the Barclays Center in Brooklyn, New York on January 19th. Many are interested in seeing if Dillashaw can actually make the cut down to 125 pounds. “I don’t think T.J.’s going to make weight and if he misses weight by .1 pounds, Joseph Benavidez is going to fight, we’re going to give Joseph a shot,” Abdelaziz said. 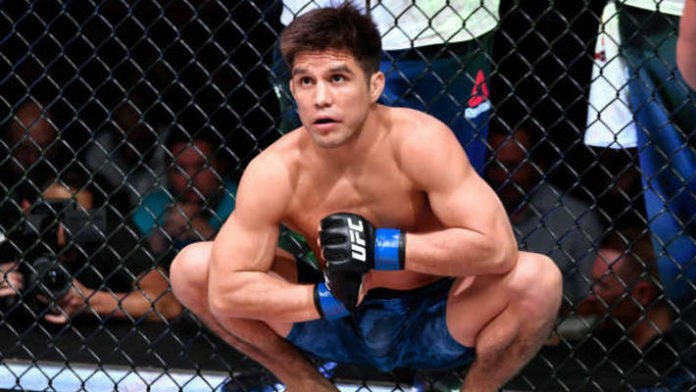 What do you think of Abdelaziz saying Cejudo won’t fight if Dillashaw misses weight?